If taking a road trip is on your summer bucket list, then New York is the place for you. Right here on the I LOVE NEW YORK blog, we&apos;ve already given you road trip ideas whether you&apos;re interested in driving across the state from Albany to Niagara Falls, seeing the lakes of the Adirondacks, exploring Cayuga Lake, or seeking out the scenery of the Catskills. This road trip is for families who want to savor mountain vistas in the Hudson Valley. 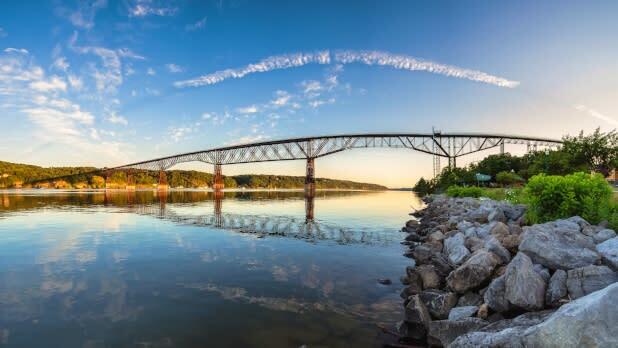 This two-hour drive winds through the Hudson Valley, hitting a number of stops where you can discover classic New York experiences while enjoying views of mountains, farmland, and lakes along the way. You’ll take the lovely Route 9D from Beacon and continue until it turns into Route 9, landing you at Poughkeepsie. From there, cross the Hudson River and continue on about 20 minutes on the 9W then the 299 to reach New Paltz. You’ll need to drive across the Hudson River to get from Poughkeepsie to New Paltz, but before you do, consider parking the car and walking over it! The mile-long Walkway Over the Hudson is the world’s longest elevated pedestrian bridge and offers views for miles. Take a break from sitting and whip out your phone camera set to panoramic mode before continuing on. 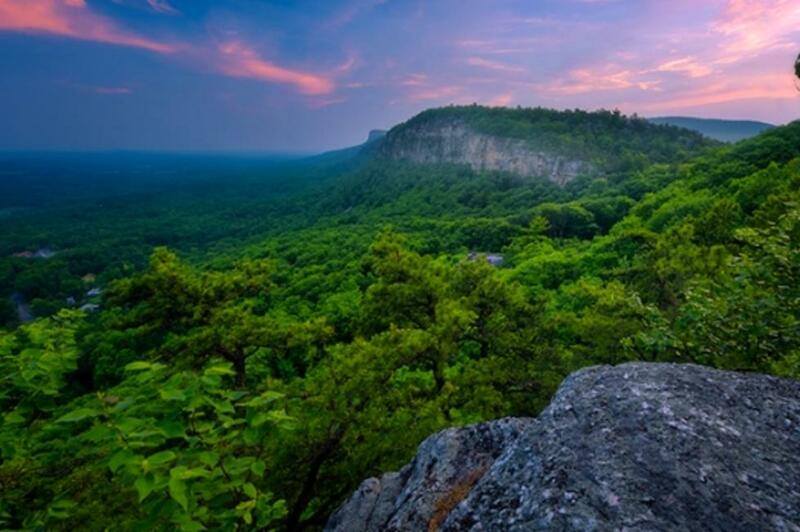 Once you reach New Paltz, you might notice lots of folks will ask if you’ve visited the Mohonk Mountain House. That’s because stepping foot in this historic landmark resort from the mid-1800’s feels like entering another world. 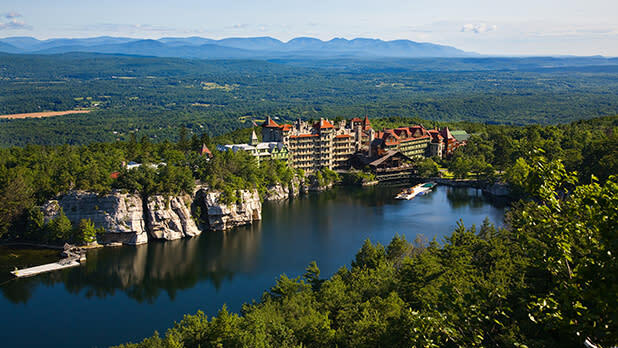 You can buy day passes that grant access to the hiking trails in the Mohonk Preserve, row-boating on their glacial lake, and relaxing massages and treatments at their world-class spa. Hot tip: dining reservations and spa treatments need to be booked in advance! Fresh berries make a great snack on road trips, and picking them yourself means they’re about as fresh as they get. 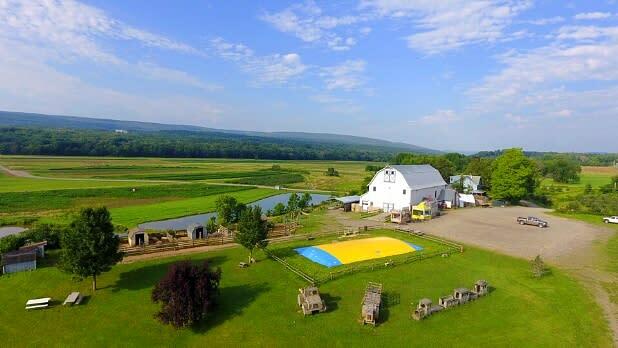 Just a 20-minute drive west from New Paltz, Kelder’s Farm offers pick-your-own berries, vegetables, and even flowers, all summer long. 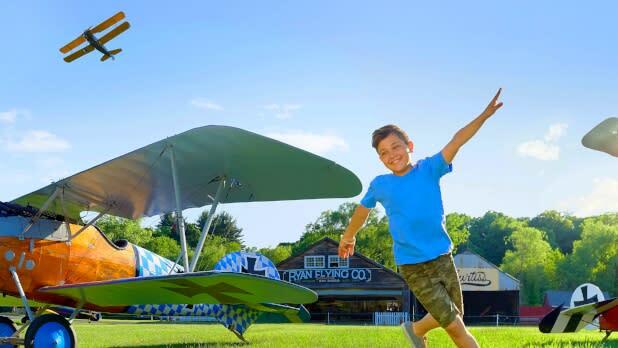 From New Paltz take a 40-minute drive to the Old Rhinebeck Aerodrome and turn your eyes to the skies. The museum is open every day but from 2 to 4 on Saturday and Sunday afternoons you can watch their vintage WWI-era planes perform spectacular airshows. You might even catch their 1909 Bleriot—one of the world’s oldest regularly flying planes—in action.